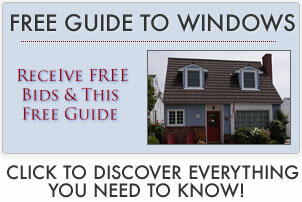 Jeld Wen windows reviews are from customers, homeowners and other industry experts. Read consumer opinions on their product lines, customer service and overall feeling on Jeld Wen window prcies and costs. I am in the process of a new build and am having to cut my budget. The only place to cut costs is on the windows and doors as there are so many of them. My contractor said I should have a look at Windsor windows, rather than the Jeld-Wen’s we planned on using, but I don’t seem to be able to find a lot of information or reviews on them. Does anyone have experience with these windows that can tell me which I should choose? I wouldn’t recommend either, to be completely honest. Without knowing where your new build is located or what materials you are using it’s difficult to advise which window is the better choice. If you’re looking for fiberglass, I would suggest you have a look at the Marvin Infinity, though they may just be out of reach when it comes to budget. If the choice is between Marvin Integrity Wood Ultrex (fiberglass) and Jeld-wen Siteline EX (aluminum clad), I’d go with the Marvin. The extruded aluminum is rolled right against the wood (no gap between the materials) – the company claims it is superior to Pella in terms of denting, which it might be but because of how the aluminum is rolled on it doesn’t allow water to escape if it gets in. I like the Ultrex fiberglass option over the aluminum. More on Pella windows reviews. I need advice on replacing an aluminum casement here in the Southwest of Colorado and I’m comparing these three brands – any thoughts? I don’t know much about the aluminum Jeld Wens, however I remodeled a place in the DC area last year and we used Jeld Wen custom wood windows and had all sorts of problems. During the winter, the glass cracked in several windows near the locking mechanism – I called up the Jeld Wen rep and he said the glass wasn’t under warranty any longer (it hadn’t even been a year). To replace a single sash, the company wanted to charge $1000, what a joke. I’m just not impressed with their products or their customer service. More on Jeld Wen prices. I purchased 1 bay window from Jeld Wen and they installed it and within a few days the wood began to blister. I called and requested a company rep come out to take a look and they insisted I first send pictures, which I did. They told me that the it must have gotten wet before installation (which it didn’t) and then blamed the installation. However, the installation was spot on, put in to the instruction tee so that argument didn’t work. After some back and forth, the company finally agreed to replace the window but that I would have to cover the installation cost because they know the window was fine when they shipped it out — grrrrr! This company doesn’t stand behind their products. More on Viwinco windows reviews. I think Jeld-wen manufactures a quality window, however their installation instructions are geared towards new construction or builders and not so much for replacements/inserts. I’d recommend that homeowners take a good hard look at who is doing their install. But overall, I feel they are a good company. Certainly, they are one of the big ones out there, which isn’t always a good thing. Jeld-wen seems to stand behind their windows though. They manufacture at least 6 wood and vinyl series and each series has roughly 6 styles to choose from. Each specific series and type embody unique design principals that can play into the install and specifics. At the end of the day, I would recommend them as long as the installer is thorough and competent. I am in the process of obtaining home window quotes for my coastal home. Here the weather is very unpredictable and reaches around seventy five degrees in summer and thirty two in winter. The one quote I received was on Cascade Windows with an argon fill and low-e glass for $11,499. I believe the Cascade Winpro has better performance numbers than JeldWen, especially their U-Factor numbers. I believe Cascade use a rubber spacer and JeldWen use aluminum. I did ask the salesman at Home Depot and he said the aluminum spacer doesn’t cause the seal to break. Though I do need more advice on this. I read on one of the forums while trying to find out more about window options that Cascade is considered a lower grade window than many of the others. Apparently Jeld Wen is the lowest grade and Milgard is better than the Cascade. Can anyone tell me if this is true? The JeldWen choice is much better option than Cascade. JeldWen actually used a tin plated steel spacer, not an aluminum one. Also the Sierra series has a frame and sash interlock made from sixteen gauge steel, which is durable and will last. Because of your location, you may not need the argon fill, this may be a complete waste of money, especially if you are looking at low-e glass windows, as the coating is on the inside of the panes and should work well in your area without the argon fill. I think you need to shop around a bit more before making a decision, you have not been offered the best windows for your location. If you like you can tell me where you live and I can make some recommendations. Be aware that Cascade change on a regular basis and you need to ensure they still back their warranties on their older products. Other windows you should consider include Amerimax, CertainTeed, Milgard and Anlin.